OMG Posters! 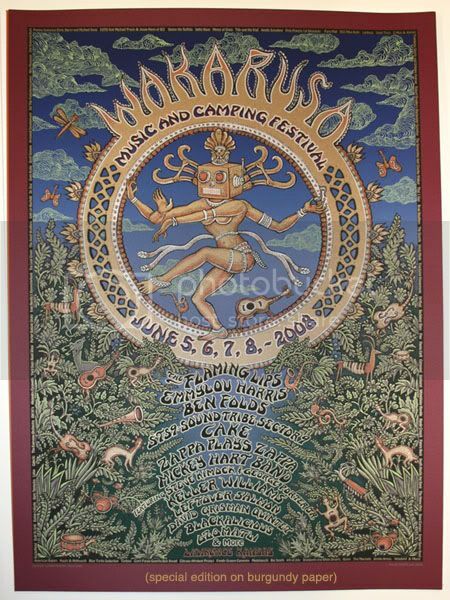 » Archive Emek's Wakarusa Poster (Onsale Info) - OMG Posters! 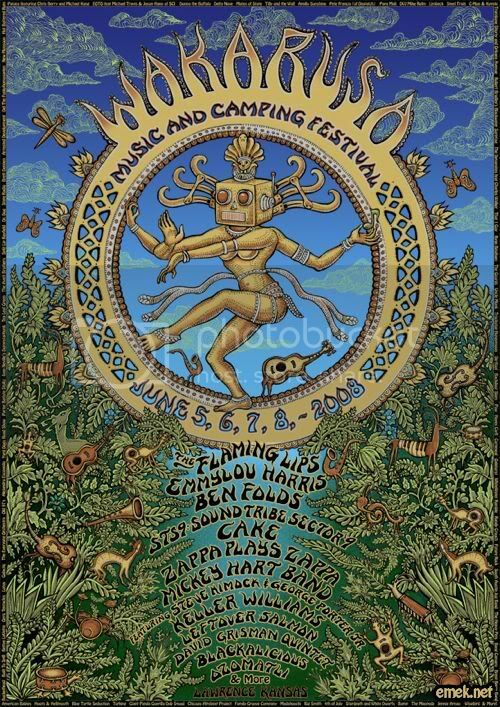 Emek is gearing up to release another awesome festival poster, this time for Wakarusa in Kansas. It’s a giant 22″ x 30″, 8 color screenprint (3 of which are metallics). This is kind of a complicated onsale, but here is how it breaks down: 100 copies of the regular edition will be sold, plus 20 randomly inserted “Special Edition” prints on different colored stock. These will go on sale Wednesday, July 2 at noon PDT for $65 each. 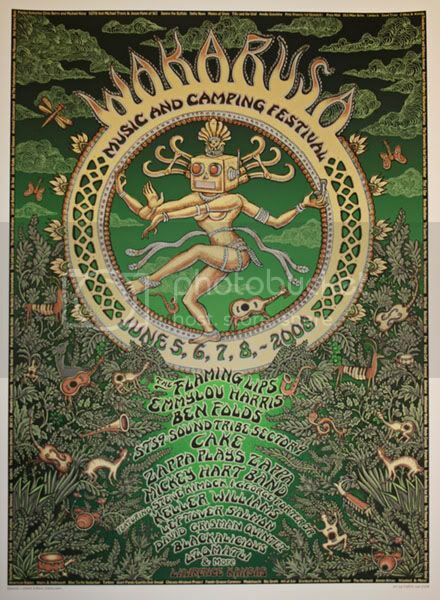 The place is Emek.net. Keep reading after the pictures. 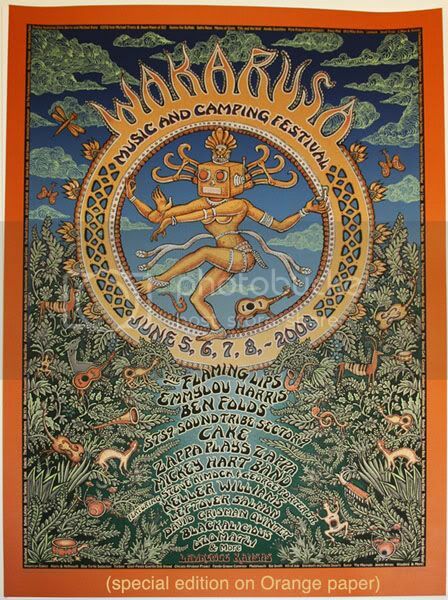 Ok, furthermore Emek will release a handful of Wakarusa variants just before the standard onsale. 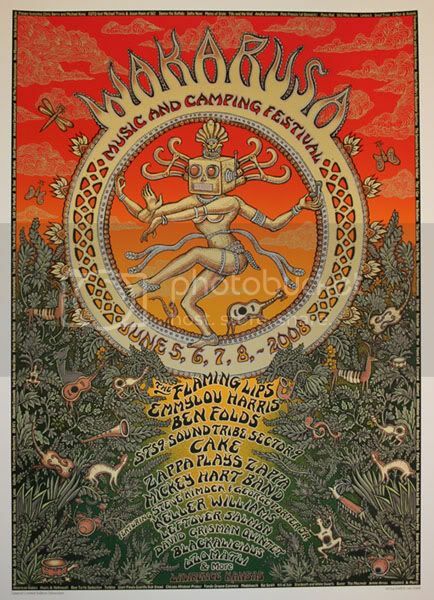 These were printed in “Sunset” and “Garden” editions, and there are only a few available (though the total editions were 40 each). These carry a heftier price at $150, and the color you’ll receive is a surprise. Also, if you get a variant, you can not purchase a standard poster at noon. These will go up Wednesday, July 2 at 11am PDT. Same place, Emek.net.